This post was originally published on October 23rd 2017, and was last updated on December 13th 2017. Instagram is a popular network among companies, although “visual” brands — such as fashion companies, photographers, travel organizations, restaurants — seem to have better luck scrounging up content ideas. But, what if your business doesn’t sell a product that photographs well? Or, perhaps you only offer services that can’t be tangibly captured? How can you utilize Instagram, the visual social media network? Here are some ideas on how to populate your Instagram account, connect with your customers, and convert leads when you’re not quite a visual brand. 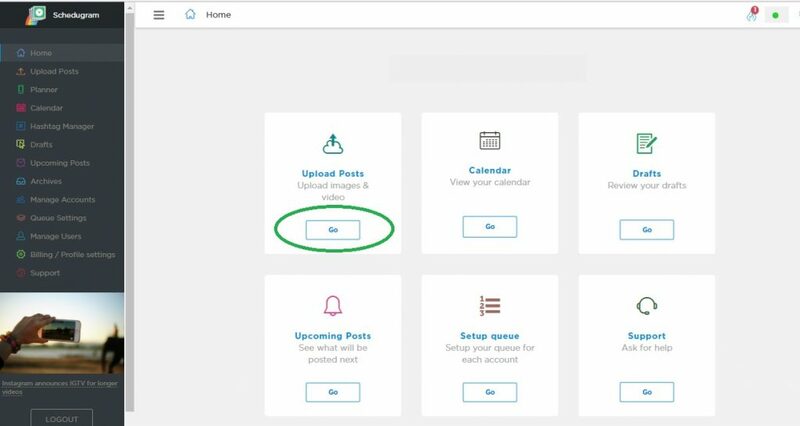 And we’ll also give you a few tips on how you can use Sked Social (formerly Schedugram) to streamline this process. Don’t feel limited to sharing actual photography on Instagram. Posting text in the form of quotes, sayings, or even questions is a great way to keep your account active while still sharing relevant, engaging content. Words can be just as powerful as photos. Sharing quotes that resonate with your audience and further express your brand values can give your company personality and a voice that your consumers otherwise couldn’t “hear” through imagery. 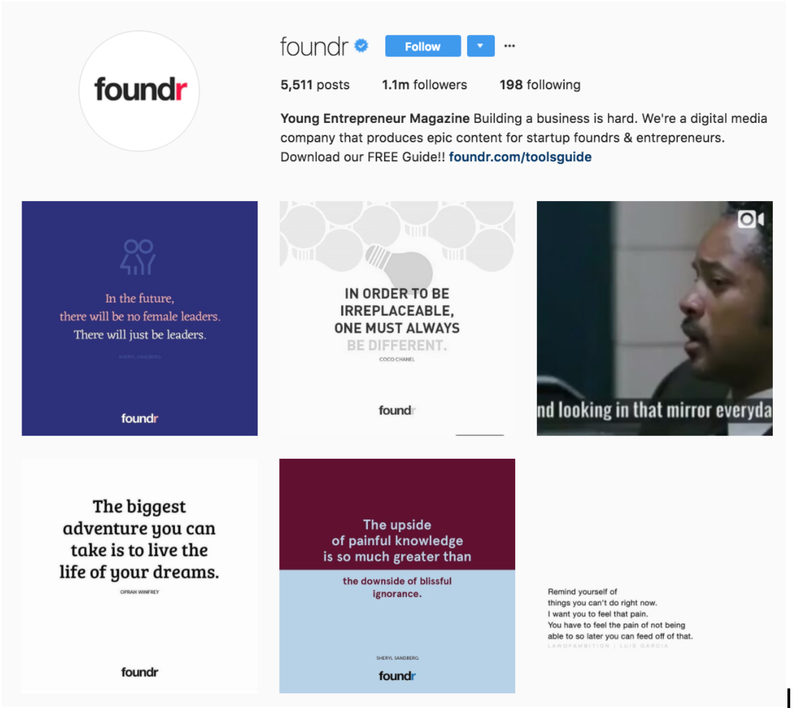 Foundr is a great example of a not-so-visual brand that’s killing the Instagram game…with over one million followers! No, they don’t feature much original photography, but that doesn’t stop them from populating their profile with relevant, interesting, branded content. Posting text on Instagram also gives you a chance to use design and aesthetic to your advantage. Well-designed words that are beautifully branded can communicate value and quality. Better yet, the better the design, the more likely your audience will share your post on their networks or bookmark it for later. This means more eyes on your content and more followers on your account. These days, graphic design is easier than ever. 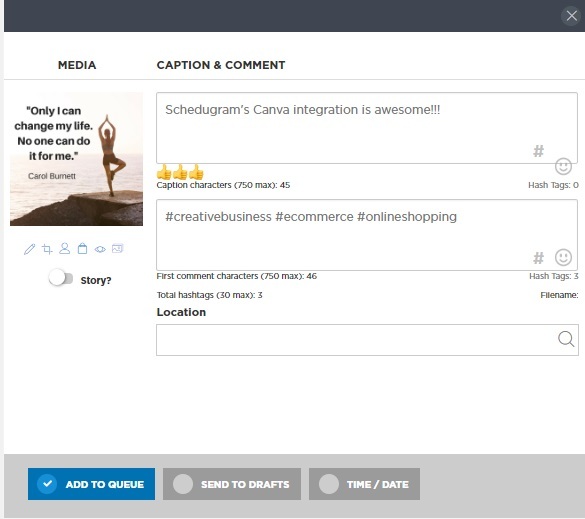 Check out tools like Canva and Snappa when designing your text posts. They offer pre-designed templates and easy download options so that your content remains high-quality. In fact, if you’re a Sked Social customer, you can use our Canva integration to seamlessly add quotes and other graphic design elements to your images while you’re creating them. To see how quick and easy it is, log in to your account and click on Upload Posts (see below). Then, select your account, click Upload, and choose the Create banner with Canva option from the drop-down list. This will open the Canva integration. 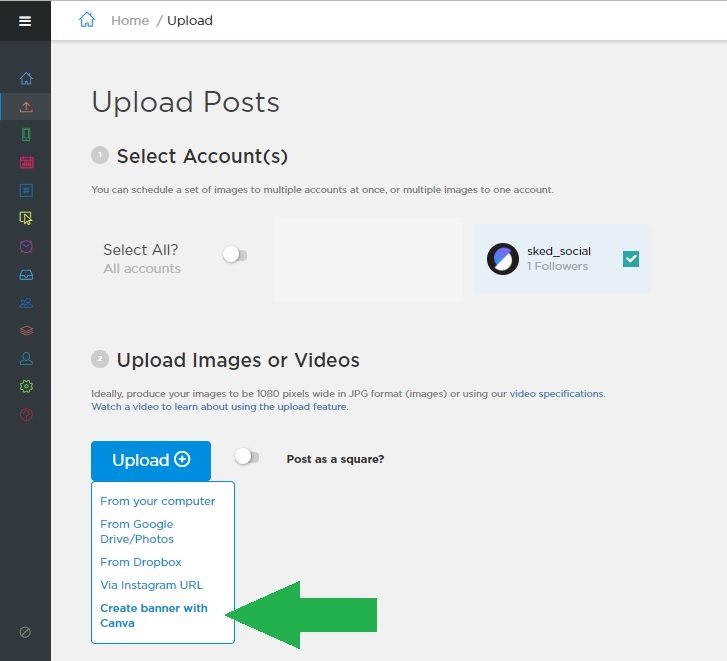 Next, click on Upload your own image (or choose one of the free or paid images Canva provides). Once you’ve selected your image and uploaded it, drag it across onto the canvas. Then, click on the Text option in the sidebar menu (see below). Now choose the style of text you’d like to use and drag it across onto the canvas. Then, type in your quote. (Tip: using more than one font type and size can add more appeal). Once you’ve finished adding your quote, click on publish. This will take you back to Sked Social, where you can fill out your caption and first comment, add your tags and hashtags, and then either queue the post or schedule it for a specific Time/Date (see below). Once that’s done, scroll up, click submit, and you’re done. People love getting a glimpse of behind the curtain. How have you felt when seeing how your favorite movie was filmed or what it was like behind the camera of a beloved music video? How did it make you view the actors, singers, and stage crew? In the case of non-visual brands, behind-the-scenes (BTS) content should take center stage. Personally, getting a peek behind the scenes helps me connect with those people in a human, down-to-earth way. The same can happen with your business. This type of content humanizes your company, reveals a sense of vulnerability and honesty, and shows a love for your employees and for having fun. 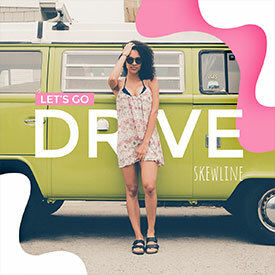 Unpolished photos and video, although nerve-wracking to share at first, can actually go a long in connecting with consumers. BTS content helps build trust with your audience, who are looking to do business with humans (not robots or faceless corporations). Capture company culture. This could be team-building exercises, volunteer days, or even a moment during lunch. Your employees are your company, and sharing the passion and humor they share could also do wonders for your recruitment efforts. Show progress or growth. Consider posting about physical renovations, new customers, team training, or even hitting a marketing checkpoint. Make your followers feel like they’re part of the celebration, and don’t hold back in bragging (just a bit!) about how your business is booming. So, you don’t sell gorgeously-arranged gourmet food, chic suede shoes, or exotic trips to Thailand. So, what? You can still share photos and video of your product on Instagram. You just may have to get a little more creative. Even the most boring products can be visually appealing and exciting if photographed well and part of a bigger story. 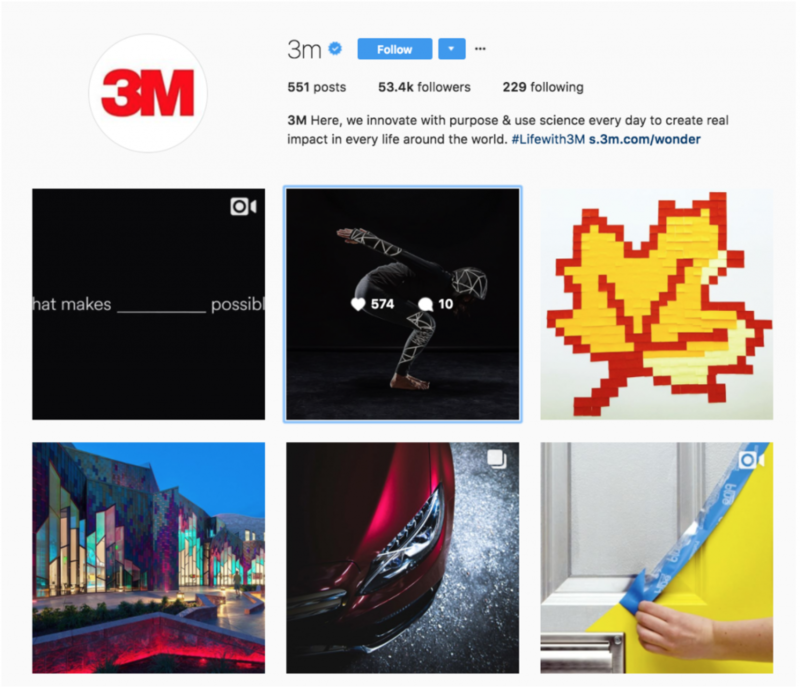 Consider 3M, a massive corporation that sells everything from adhesives to knee braces. Their B2B and B2C products are not that exciting, yet they have almost 60,000 followers on Instagram. How do they maintain such a huge social presence? They share their products in a new light. The second post above showcases their new reflective tape. The third image features their colorful sticky notes. Sure, they could be simply posting a (boring) image of these items, but instead, they tell an exciting story with and sell the greater benefit of their products. If you feel that you may need to get a little more creative with your products, consider investing in good photography. While quality product photography works for your website or marketing materials, social media imagery should be a bit more creative and fun. When you feature your products in a new light (literally), your followers will come to understand that you take your products seriously and find them beautiful… just as they should. User-generated content is incredibly valuable when working to establish credibility among an audience. If you’ve never heard of it, user-generated content (UGC) refers to content taken and shared by actual users of a product or service. UGC is great for brands looking to diversify their visual content. For one, UGC acts as both a product image and an inherent positive review. When a user takes the time to share their experience, it’s usually to tell others how amazing a product or service is. Consider GE Appliances. 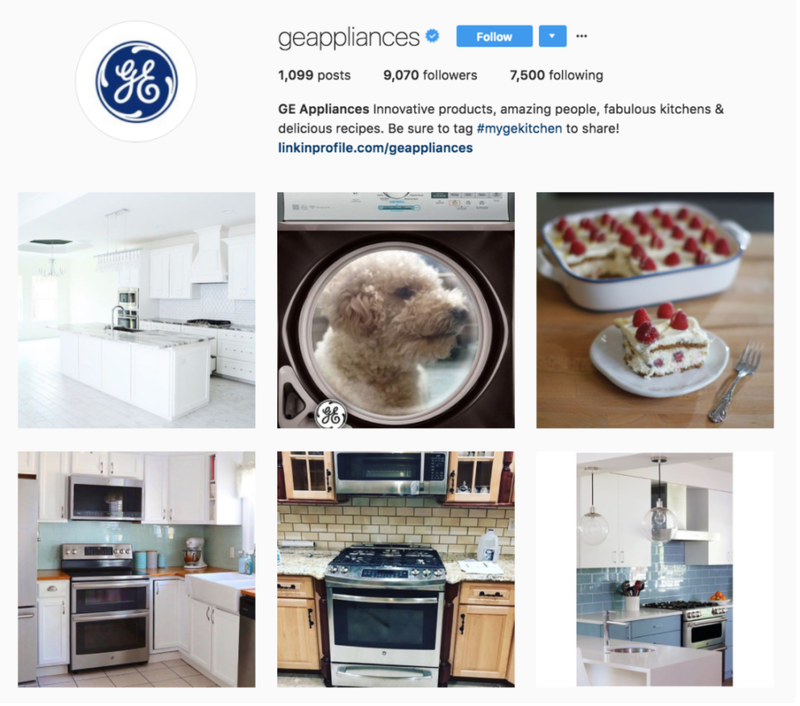 Their Instagram profile features mostly UGC from consumers with their appliances. Sharing these images shows their products in a variety of kitchens and also provides social proof about their appliances. Secondly, UGC relieves the pressure of constant and creative content creation. While great in theory, there’s no way a brand can capture a consistent variety of images; that’s why you lean on your consumers to do it for you. Unfortunately, Instagram doesn’t make it easy to share or regram content. The process typically involves another tool, but thankfully most are free! 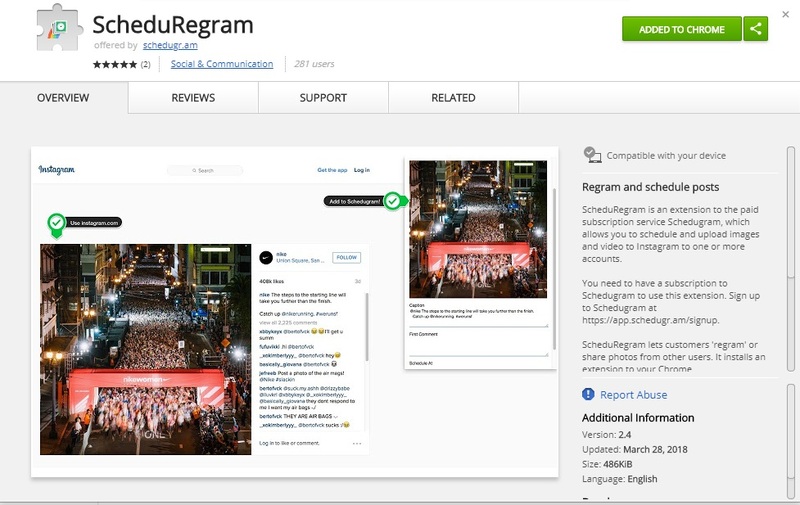 We also created Sked Social Regram – a Chrome extension that allows you to repost and schedule images with your Sked Social account easily. To try it out, follow this link over to the Chrome Web Store and download it for free. 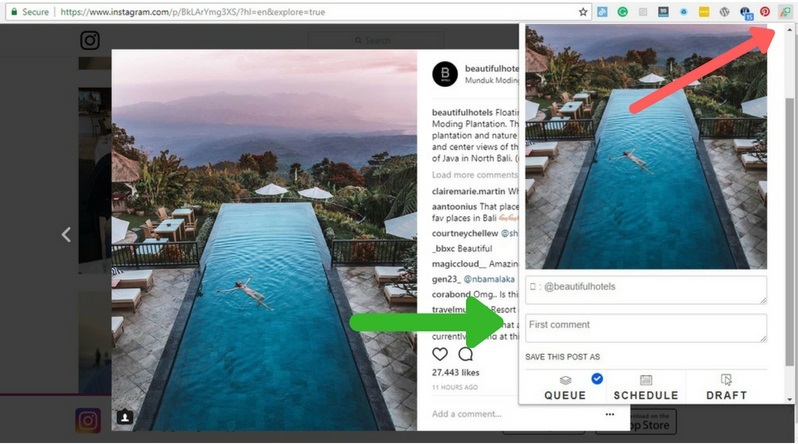 Then, anytime you’re browsing Instagram using Chrome and see a post you want to regram, simply click the ScheduRegram icon on the Chrome toolbar (see red arrow below). This will open a window (green arrow above) where you can write your caption and first comment, before queueing or scheduling it to post automatically to your feed. You’ll also notice that ScheduRegram attributes the original poster by mentioning them — so you don’t have to worry about breaking any of Instagram’s regramming rules! Regardless of how you go about sharing UGC, always be sure to attribute (in the comment and/or by tagging) the image to its original owner. No one likes an Instagram thief! Infographics are all the rage this year, and rightfully so. Data, lists, and analytics are becoming easier and easier to digest and share, and that’s all thanks to improved infographic design. Using infographics can engage your audience in a unique way and set you apart from your competition on Instagram. Infographics are also simply fun to read. With today’s massive daily information overload infographics provide a fresh way to inhale data. Studies have proven that infographics are more engaging, persuasive, and memorable. One common concern around sharing infographics on Instagram is that infographics are typically designed a long, portrait form. 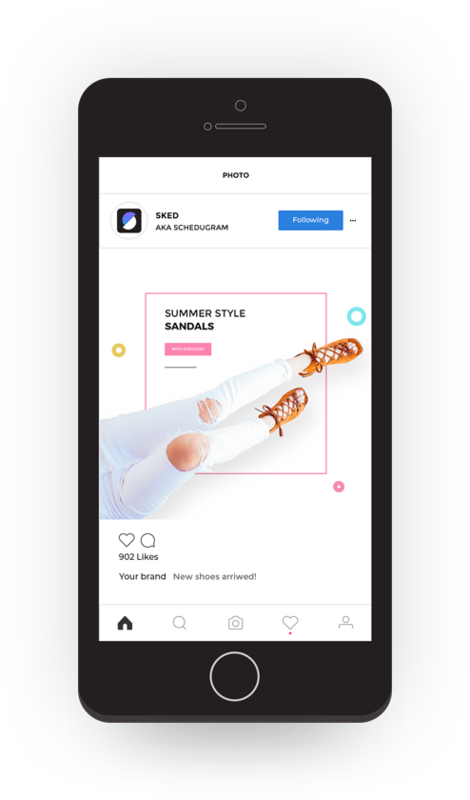 While you can resize vertical photos on Instagram, it isn’t wise to share a long infographic as your audience won’t be able to see its detail. Thankfully, there are many ways to share easy-to-read infographics. Firstly, you can always crop a long infographic into short snippets of data, depending on what you want to share. Secondly, you can create infographics in different, Instagram-appropriate shapes. Utilize free tools like Canva, Venngage, Piktochart, or Easel.ly when making infographics from scratch. Does your company have any specific data they want to share? Have you had a recent influx of customers, or are you celebrating an anniversary? Does your company have any difficult processes you’d like to explain with graphics? Are there any parts of your product or service offering about which customers ask frequently? Are you looking to share your brand story or company timeline in a new way? Do you have any “evergreen” content that could be converted into an evergreen infographic? How about any “how-to’s” that could accompany any popular blog posts? There are so many different directions in which to go when creating infographics. Start with the questions above, design your data, and watch your Instagram engagement skyrocket. Instagram can (and should!) be used by every business, regardless of product offering or visual potential. Use these brands killing it on Instagram as inspiration. Don’t shy away from this network simply because you don’t know what to photograph or feature. With the right approach to the ideas above, your business can be booming on Instagram in no time. If you stick with content that provides value and benefit to your followers, you’ll always kill the Instagram game. What do you think? Have you had any luck with the above strategies? What tools have you used to grow your activity and engagement? Share your comments with us below!